I can’t believe it’s the end of 2015. It’s been such a long journey this year. We started off at the equine hospital in January due to Tofino having diarrhea and shortly after, I was in the hospital undergoing a surgery. Weeks of no weight bearing, just to undergo another surgery and then another. This year alone, it has been 3 surgeries, and long bed rest recoveries. Despite all the time in and out of hospitals throughout the years, the website thankfully picked up so many hits which is all thanks to you guys 💙. 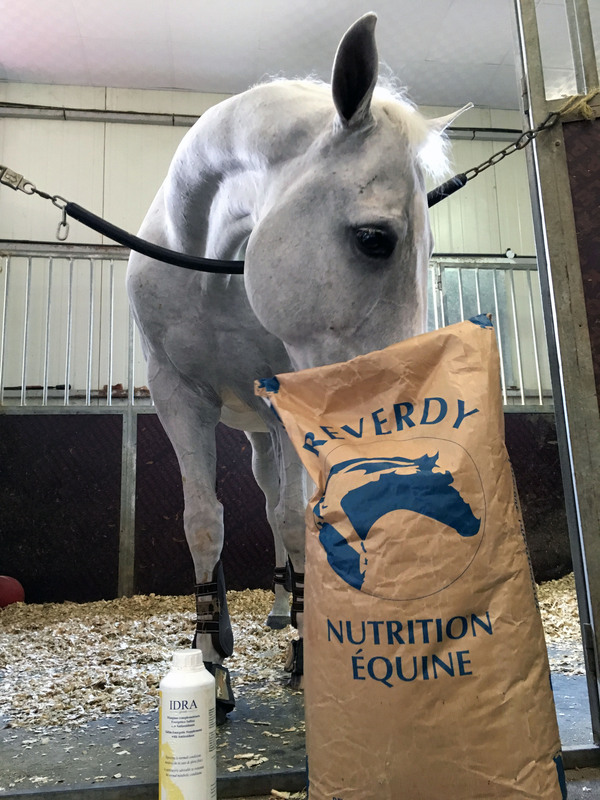 Just before the season, after continuously purchasing Reverdy Adult Specific Feed since his diarrhea mishap, we luckily managed to get sponsored by Cavalos Equine Care & Supplies which is more than amazing 😍. 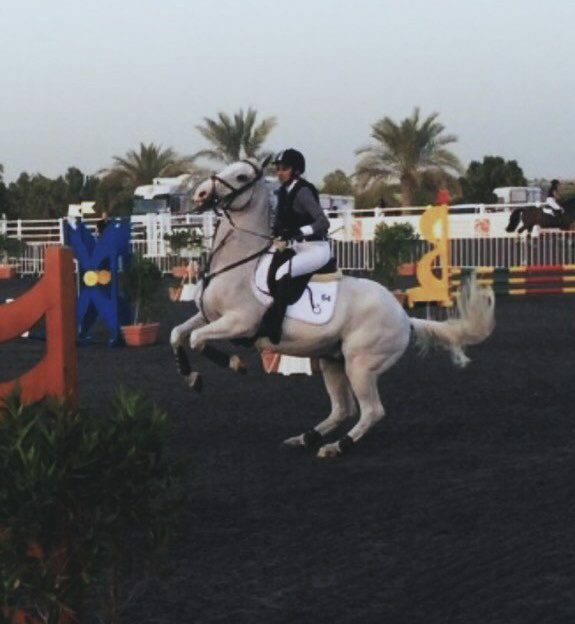 They are not only super supportive and generous, but also have a wide range of brands that they represent, e.g, Cavalleria Toscana, Franco Tucci, and more. Tofino was taking it easy in the paddocks, with a few gallops here and there; until I got the green light to ride again. Having been on and off for 4 years now due to my injury, it was and still is such a struggle to ride. My pain is continuous so I’m in pain whether I am riding or not, so might as well make it worth 😉 (keep moving forward). We managed to do two shows thus far which went surprisingly really well. I am truly so very proud of us ❤️. Tofino has been super patient with me and I am honestly so lucky to have him in my life. The time spent not being able to ride has increased our bond immensely (tips on horse bonding). It promotes overall scalp health and, along with Rosemary Extract, aids in growth of healthy manes and tails. The cocktail of Certified Organic Hemp Oil, Coconut, Apricot, Wheat Germ and Olive Oil – full of antioxidants and essential fatty acids -“feeds” the moisture starved scalp and tresses. Tea Tree Essential Oil is known to prevent dandruff and Sunflower Extract protects against UV damage. You’ve gotta see the stunning results for yourself! I never really paid attention to Tofino’s diet until I realized how much of an affect your horses feed has on not only a their energy, but also their behavior, and overall health and body condition. Beginning of this year, Tofino suffered a couple of weeks of diarrhea and ended up staying in the hospital for a few days. That’s when I realized he cannot continue to stay on the clubs food which is not catered to his age and condition. I was told to keep him on a low starch diet from now on, so the vet gave me a few bags of Zabeel Low Starch feed. He went well on it with no diarrhea or other problems. The problem with Zabeel Feed Mill is that if you do not receive your bag fresh, it ends up having a lot of dust which is not good for your horse. So since quality was never consistent, I searched and searched until I came across Reverdy where they not only take the time to make sure their feed is of superb quality but also help you understand why they chose specific ingredients. You can check out their catalog HERE. 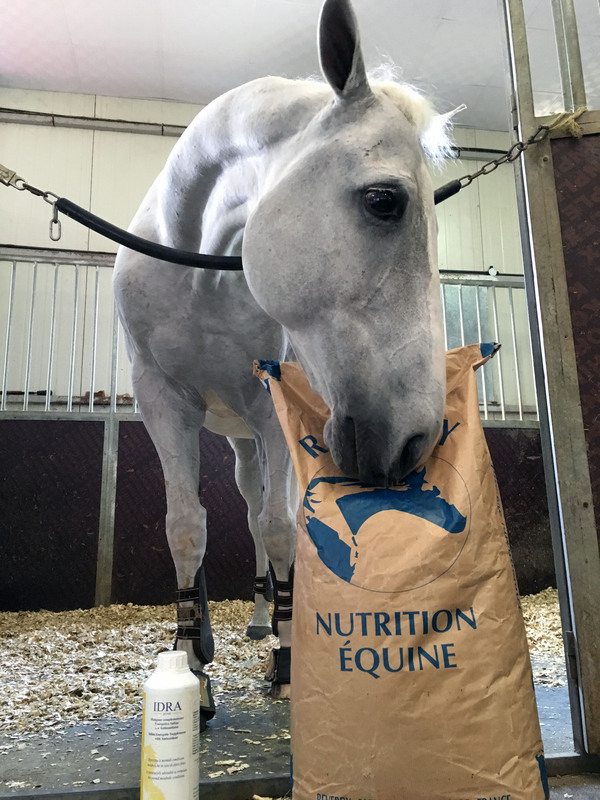 After reading their brochure we decided to try the Adult Specific Energy Feed (complete Data Sheet) from Cavalos Equine Care & Supplies. 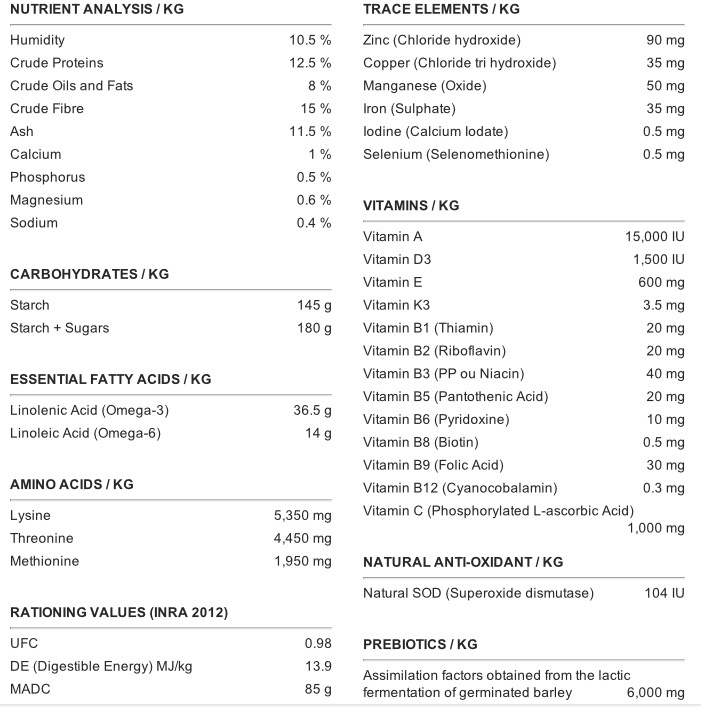 Composition: Alfalfa 17 (horse), Barley, Extruded linseed, Straw, Chicory pulp, Sepiolite, Extruded soya beans without GMO*, Sodium chloride, Skimmed milk powder, Kaolinite, Prebiotics, Magnesium phosphate, Potato protein, Bentonite, Monocalcium phosphate, Trace elements, Vitamins and Natural Anti-oxidant. Cavalos Equine Care & Supplies were kind enough to send us a couple of sample bags after hearing our situation. Tofino had no issues transitioning (how to transition your horses feed) and we were hooked! I continued to purchase it myself for a number of months, even though it is on the pricey side, but you should never cut costs when it comes to your horses diet. 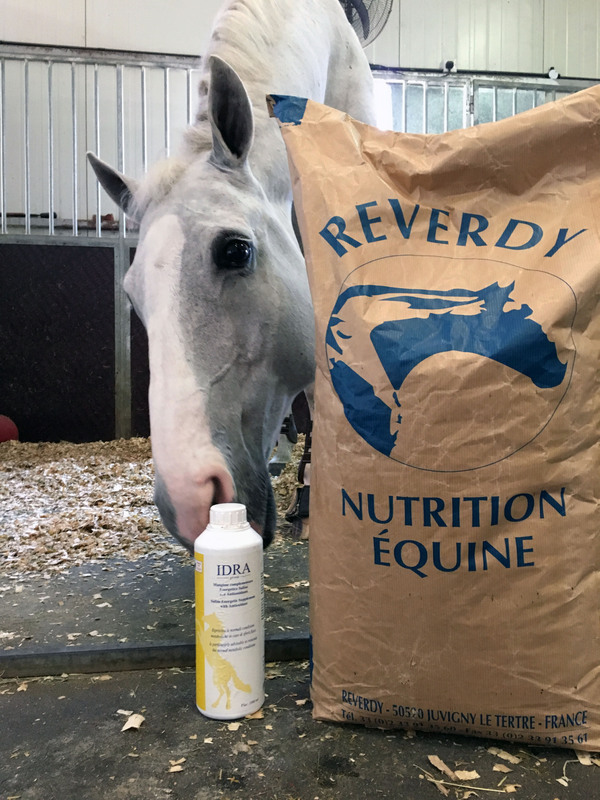 Thankfully, Reverdy Feed does not require you to feed your horse in large quantities, therefore, the bag lasts longer. Note: Always check your horses weight to ratio the feed amount according to the current working condition they are at. After a while, thankfully, Cavalos Equine Care & Supplies were so kind as to start to sponsor Tofino for his feed ❤ ❤ . This however, does not alter this review in any way as I had purchased the feed myself for a number of months before the sponsorship. 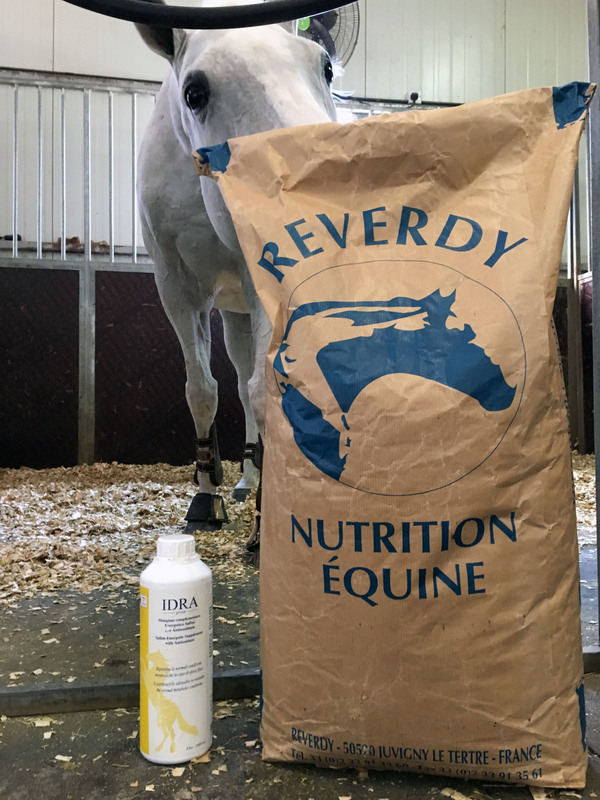 Cavalos does offer a number of different Reverdy feed but the reason why we decided to try the Adult Specific Energy is because it is low in sugars & starch which I was looking for and it also is high in Omegas and has the right amount of vitamins, minerals, pro/pre-biotics needed without having to add additional supplements other than liquid Electrolytes (currently using Nobile Vet from Cavalos also). Note: Adult Specific Energy suits my horse, but does not necessarily mean it would suit yours. With all feed, it is a trial and error with quantity and food type. P.S. Don’t forget to check out the 10 common horse feeding mistakes! Verdict: After being introduced to the Reverdy Adult Specific Feed I think there is no going back. I definitely recommend it to anyone who has to have their horse on a low starch diet, or if your horse has stomach issues. As I mentioned above, cutting down costs should not in any way interfere with your horses wellbeing. So even though it is pricey, it is worth it for sure. For those who have been following me for a while or read “about me“, you would know about my injuries and how some days are better than others, physically. Regardless, doctors and physiotherapists did give me the green light for riding. Never ever ride or do any physical activity that is not cleared by your doctors. Always listen to your body and give it time to heal. When I wasn’t able to ride I still learnt of ways to bond with Tofino (9 ways to bond with your horse). Anyhow, I have been suffering from my injuries and surgeries (13 operations in total now, with #14 just around the corner), but I am still, thankfully, very eager to ride and continue to progress even if it is literally one step at a time. I thought I should write up a quick post just to help those out there that are a little demotivated or think it’s over. The moment after you think of giving up, but still continue, is the most rewarding moment of all. 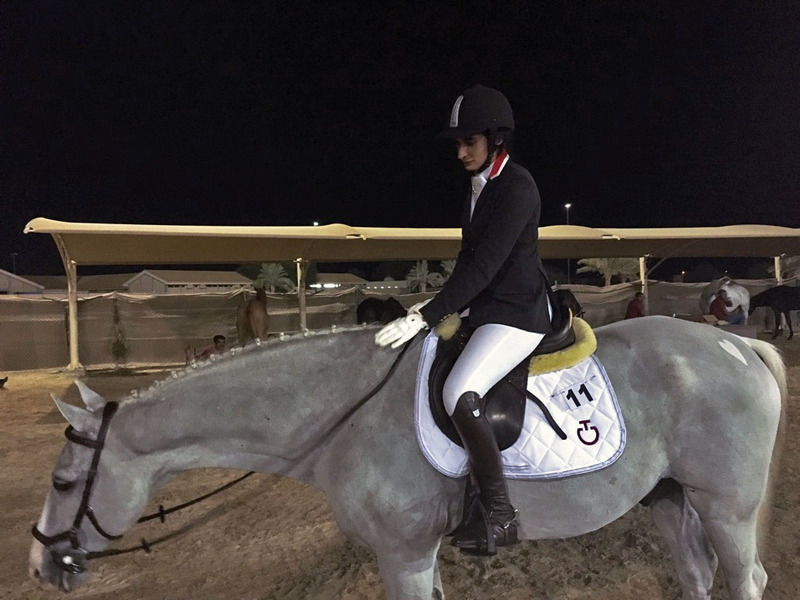 This isn’t only for those with physical disabilities, but also with injured horses getting back in shape or even those difficult to ride horses. Riding competitively in general isn’t easy. Doing so in pain makes it that much more harder. But if you have the patience, passion, determination, and the bravery, then you can truly achieve anything. I was told over and over again that I should give up the sport. Sell Tofino and move on to find something “safe”. Safe? Nothing is safe nowadays. Even the food we eat can harm you. But there are some people that don’t understand the love, the relationship we have with these amazing horses. And when they can’t do something themselves, they want to tell you that you can’t do it. I am glad I never gave up. Not on myself, not on Tofino, not on my body. I learnt to be tough. To know my limitations. To give my body and my horses body breaks when necessary, and yet push it when possible.